I’ve been observing advertising for fragranced products over the years and have found some of the ads to be quite telling. 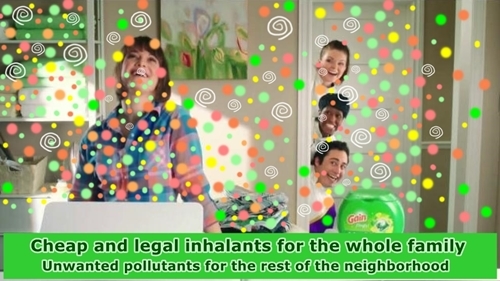 For instance, every time I’ve seen an ad for this product, it looks like the people using it are inhaling drugs. 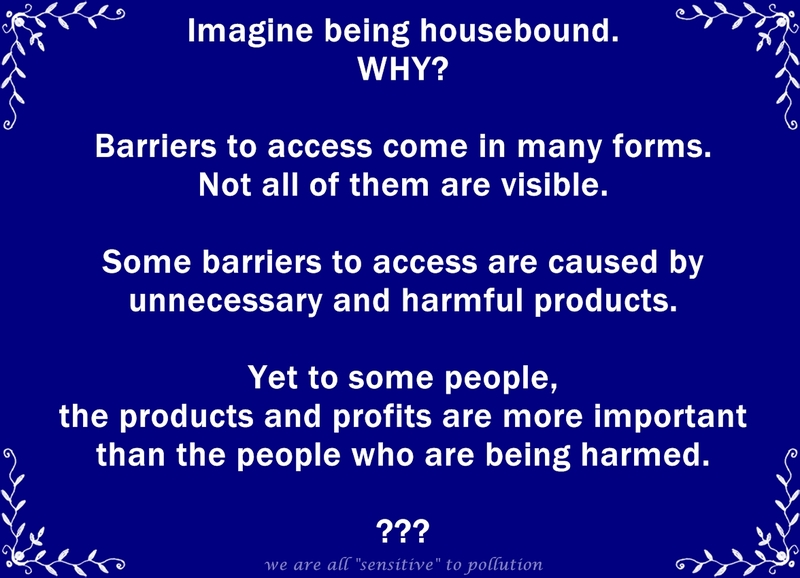 What If an Industry was Allowed to Disable Us and Keep Us Housebound? 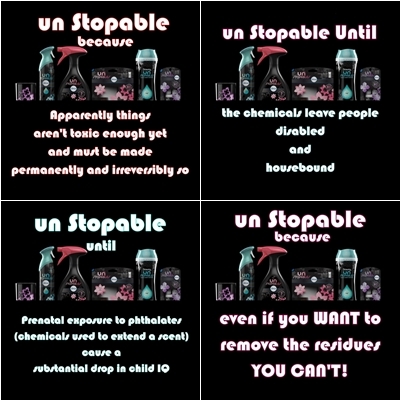 There’s a global proliferation of artificial fragrance and methods of dispersing it. Fragrance concoctions are added to almost everything imaginable (with more ridiculous ideas emerging all the time). 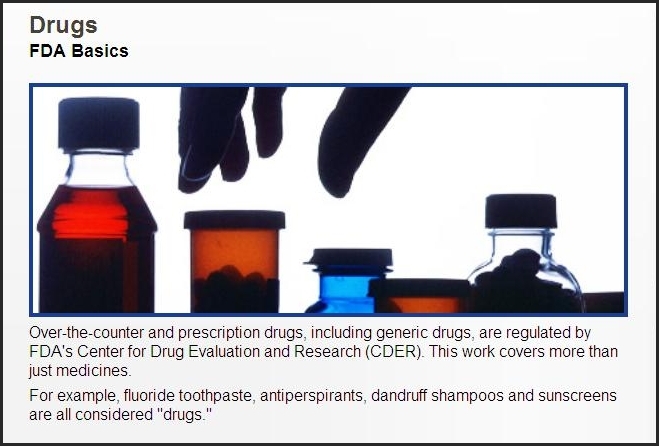 They are sold and used everywhere at the same time as more people are developing adverse health effects from them, effects like serious allergies, disabling “sensitivities”, migraines, asthma, neurological disorders, lowered IQ, birth defects, etc. (the list keeps growing). These health problems are due to unregulated and secret ingredients, ingredients which pollute our bodies, our air, and the waterways they get washed into from our sinks, tubs, and showers, ingredients that are impossible to avoid now, even when we don’t want them in our lives. If you or your child had celiac disease or a severe peanut allergy, it would be the same as the peanut and gluten industries adding peanuts and gluten or peanut and gluten mist along with doses of mood altering drugs to every product imaginable, including building materials. That would be in addition to having peanut and gluten essences worn by everyone (in their hair, armpits, clothing …), pumped out of air ducts, automated devices in public washrooms, transportation, stores, apartments, offices, hotels, even medical offices, and your neighbours burning peanuts and gluten in their fireplaces, washing with laundry with them, and then pumping the residues out of their dryer vents 24/7. You could imagine cat allergies too, but they are usually more inconvenient than life threatening and disabling. 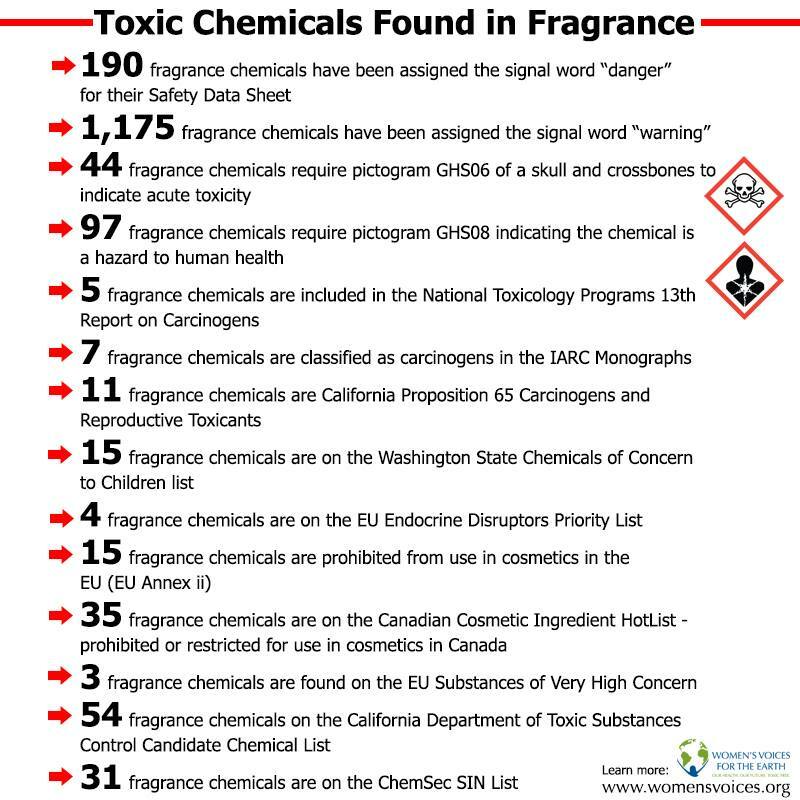 The fragrance industry is very aware of the adverse effects its products have on people and the environment, yet they continue to look for more ways to pollute us and every product and environment conceivably possible. 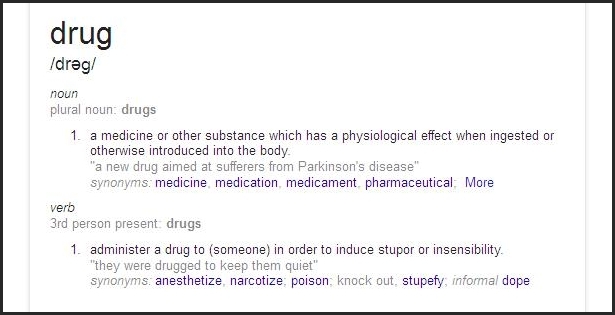 They knowingly create concoctions that harm and act like drugs! Yet they consider these risks reasonable and acceptable, and choose to dismiss or ridicule those who have problems, using similar tactics the tobacco industry used to deny there are problems and to continue to profit from them.